Although this plant is called Walker Low, it really isn’t low growing but it is a stunning plant. 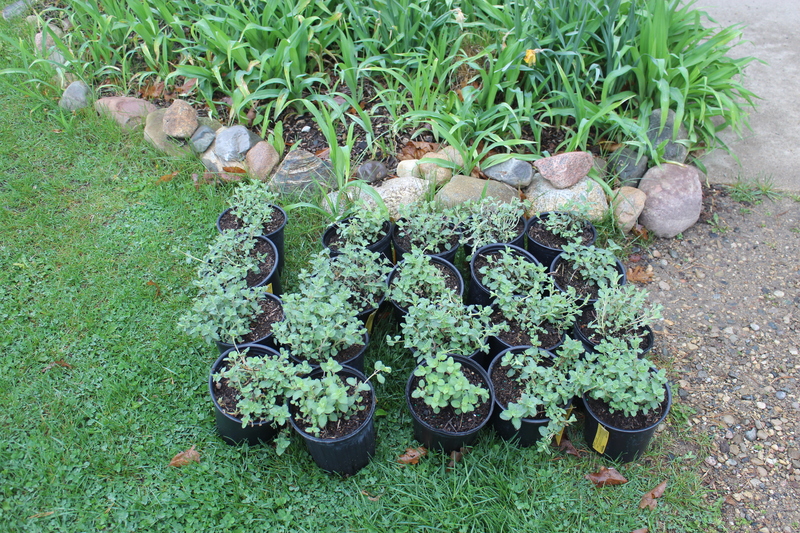 After several years of trying to divide and transplant Walker Low catmint (Nepeta-faasseni) with very mixed results I finally gave up trying to save money and I bought 20 plants for a planned border in my turn-around bed that I have been trying to create. I used the egg sale money I have saved from the past years. 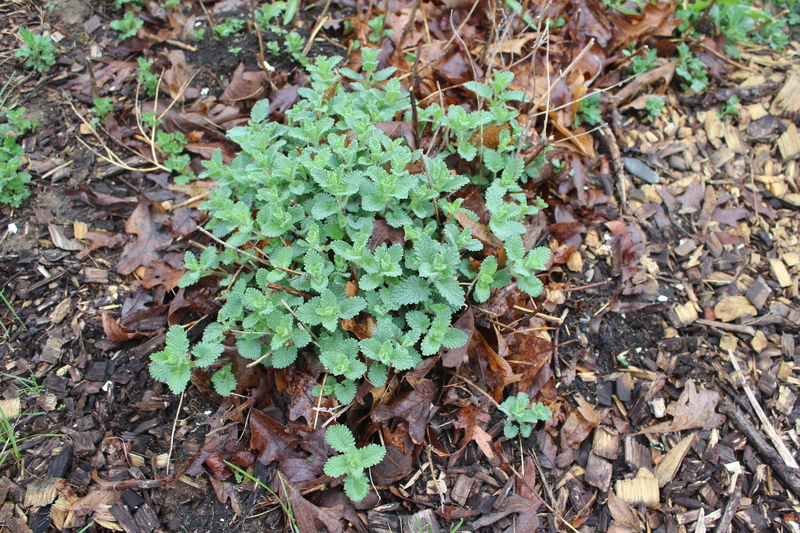 My catmint perennials are coming up nicely after the long winter. 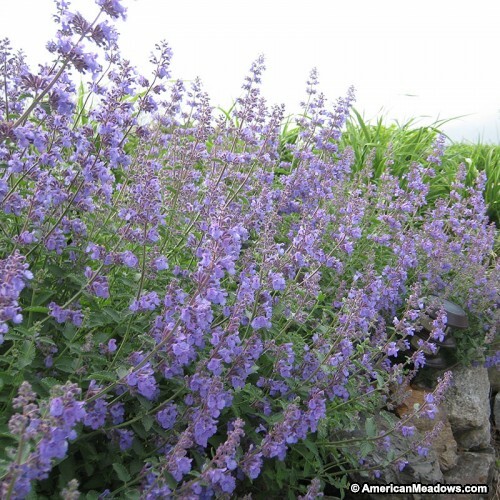 Catmint, if you are not familiar with it is an easy-to-grow perennial that tolerates average to dry, moist soil. Their cheery lavender blooms look good when most other perennials are done for the season. They like half sun half shade and are hardy in zones 3-8. Most catmints prefer full sun and well-drained, not overly fertile soil, although plants in hot summer areas do well with some afternoon shade. Related to catnip but much showier its gray-green foliage remains attractive throughout the growing season as well. Established plants are quite drought tolerant. This morning we drove to my favorite nursery, Huntree Nursery in Glenn who had them ready for me. 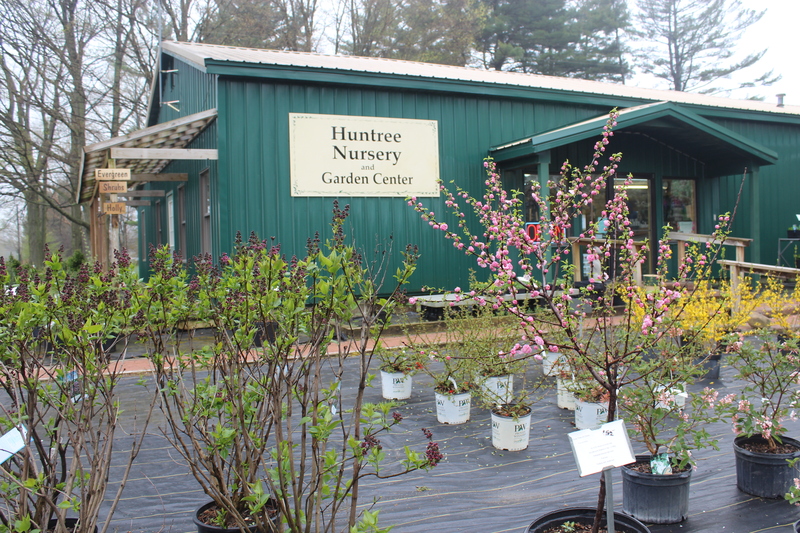 Huntree is a family owned seasonal nursery and a favorite place for many in our area to buy trees, evergreen and shrubs. In the fifteen years we have lived here I have purchased a LOT of plants from Huntree. Spring has sprung at my favorite nursery, Huntree Nursery, Glen, MI. In 1971 Jan and David Landry came to work at the nursery after graduating from Michigan State University. Nine years later they purchased the business. And the rest as they say, is history. Today’s purchase of catmints will be the base of my new border. Catmint Walker’s Low is famous for its wonderful fragrance, is deer resistant, attracts hummingbirds and butterflies’ and is bee friendly. Not really a low grower, ‘Walker’s Low’ will grow 24-30 inches tall and had no serious insect or disease problems. It is used in rock gardens, border fronts, herb gardens or naturalized plantings. Catmint Walker’s Low is famous for its wonderful fragrance that butterflies, bees and cats love. Beautiful, lush, purple flower spikes start to appear in early summer and continue for up to 3 months. It’s a great perennial to add to your garden. Catmint is a perfect plant for our homestead because it can tolerate our sandy soil and our on- again, off-again periods of drought. I love that it flowers throughout nearly the whole summer and into the fall season. 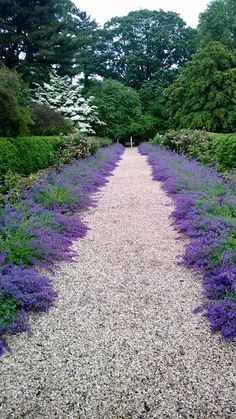 Not only is it beautiful with it naturally rounded mounding shape and blue-green leaves, it the ideal herb to give to the chickens to eat too. I picked them up in the morning and then I spent the day digging and planting. They will grow for a few years into a splashy border and then I will have more plants to divide and transplant throughout my gardens. 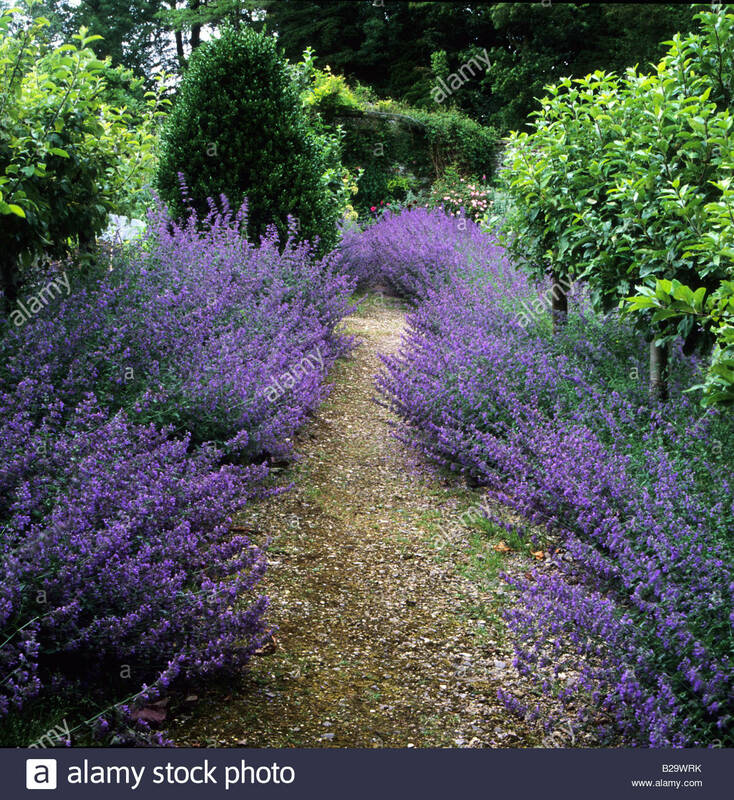 Here are a few copyright free images if using catmint in the garden border. Isn’t this the most stunning plant when used in mass? After mine fill in and grow I’ll be sharing an “after” photographs of our garden border at a later date.